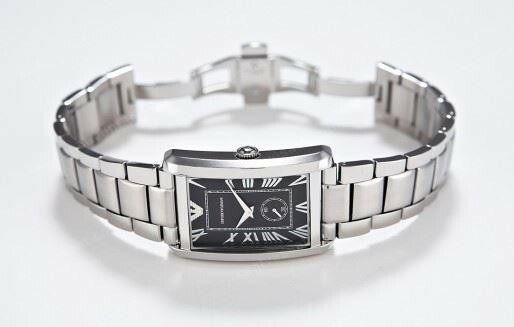 It fastens with a silver metal bracelet and is powered by a quality quartz movement. 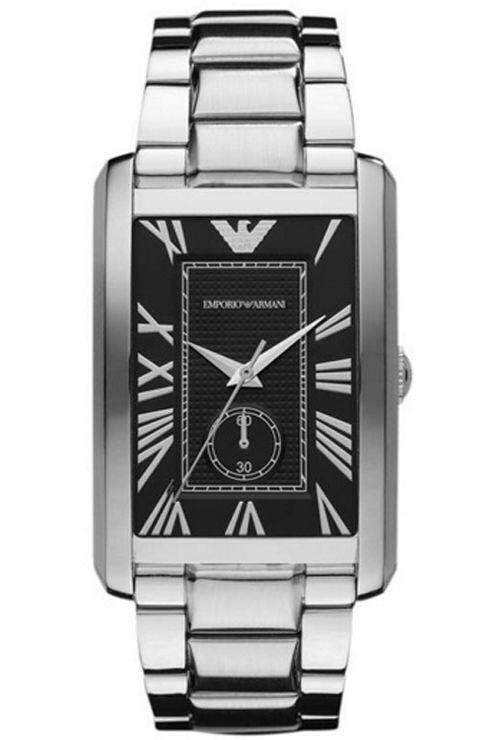 This stylish mens Emporio Armani watch in high-shine stainless steel is set around a black rectangular dial. 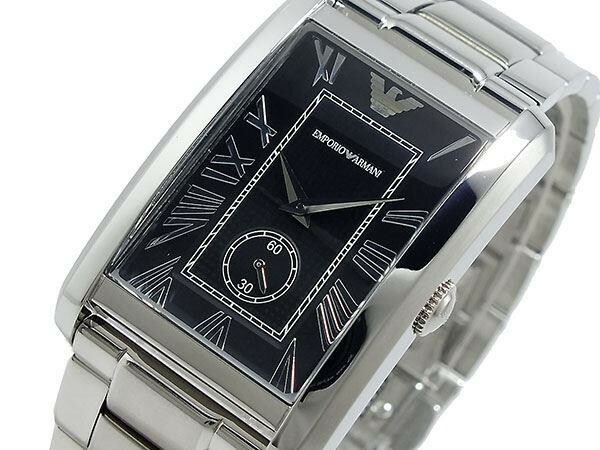 The dial features large silver Roman numeral hour markers and silver hands. 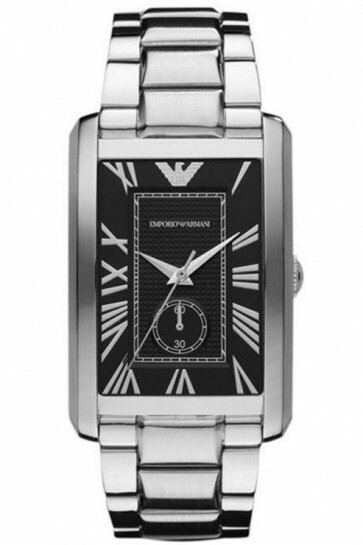 It fastens with a silver metal bracelet and is powered by a quality quartz movement.